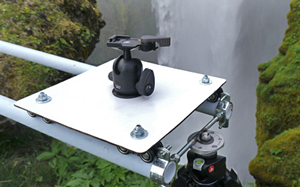 MicroWheel camera dolly wheels are a simple and sleek and portable way to add motion to your images utilizing support equipment that you may already own. Because MicroWheels can be used in so many different ways, they are the easiest and most portable way for you to add smooth camera dolly movement to your arsenal of production tricks. 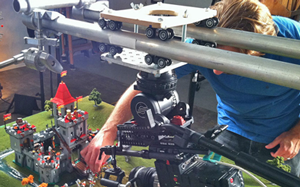 MicroWheels can mount directly to your camera rig and can easily be configured as a pipe-dolly, skate-dolly, slider, etc. What make MicroWheels unique are their 4 high quality bearing wheels per carriage. 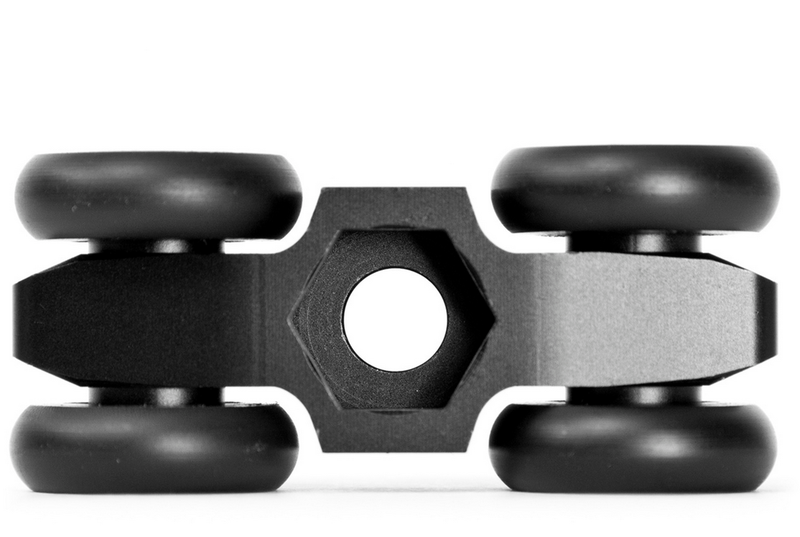 The bearings are strong and sturdy allowing them to carry a load of 50+ lbs per carriage. 4 wheels per carriage give you a very smooth roll and because the carriage is already constructed all you have left to do is mount them with ONE bolt. It’s the smallest, easiest and most versatile wheel available for a great price. 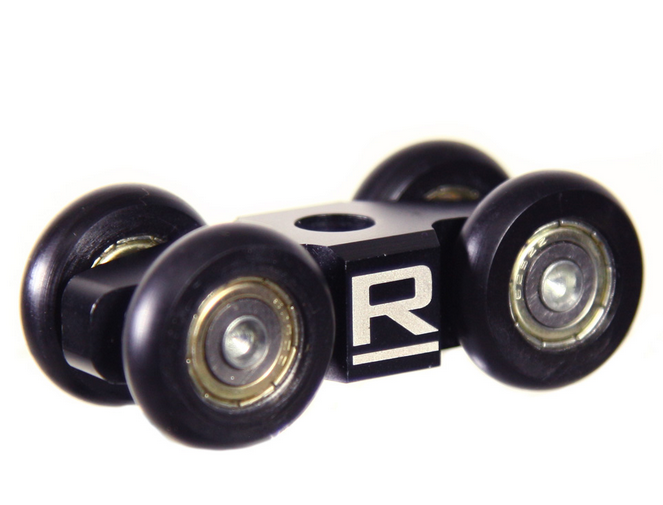 The wheel carriages are made of precision machined 6061 aluminum and anodized black. In this new era of HDSLR video production, size and portability are critical factors in deciding what equipment to use. 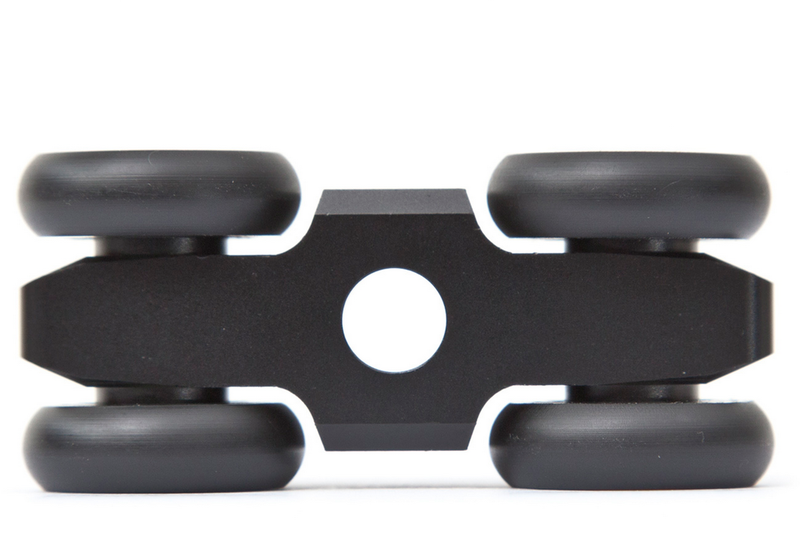 MicroWheels can easily live in your backpack giving you the option of smooth camera dolly motion wherever you travel. MicroWheels along with a nearby piece of pipe, glass, plexiglas, laminate, track or other smooth surface can give you the same seamless smooth motion as other options that cost hundreds or thousands more. 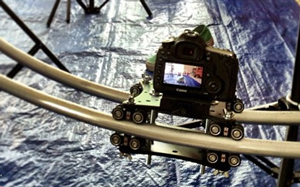 MicroWheels are designed to give you the flexibility to build a variety of camera movement rigs without the hassle of old-fashioned camera dolly wheel configurations. 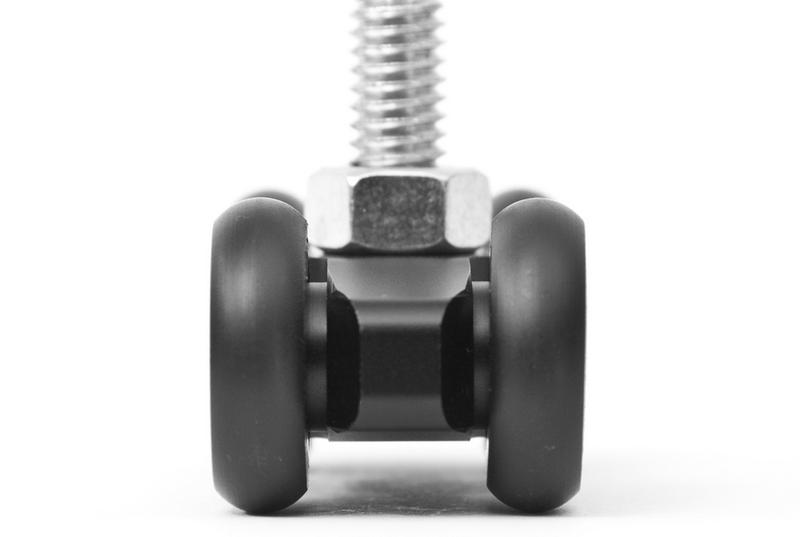 MicroWheels mount with just one interchangeable bolt/screw and can be attached to just about anything. Customers in more than 90 countries around the world are using MicroWheels to build camera dollies, camera sliders, table-top dollies, pipe-sliders, tripod track-dollies and much more. 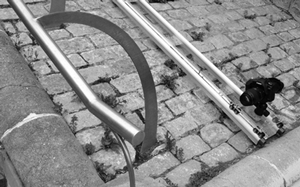 MicroWheels can even attach directly to a 15mm rod/rail system with optional adapters. 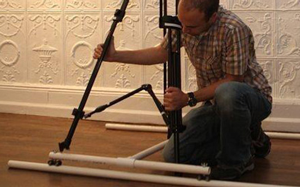 It’s the smallest, easiest and most versatile camera dolly / slider solution available for achieving different styles of movement. 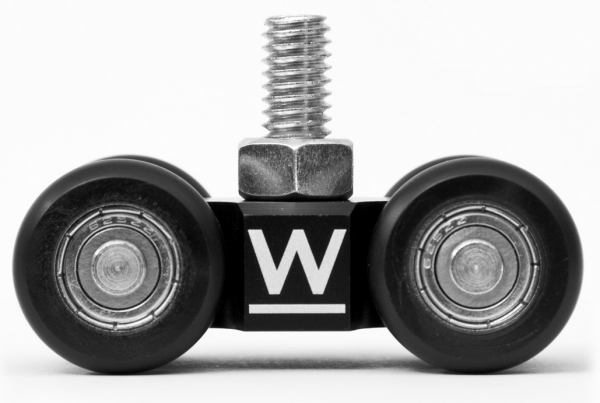 Weiterführende Links zu "RigWheels MicroWheel"